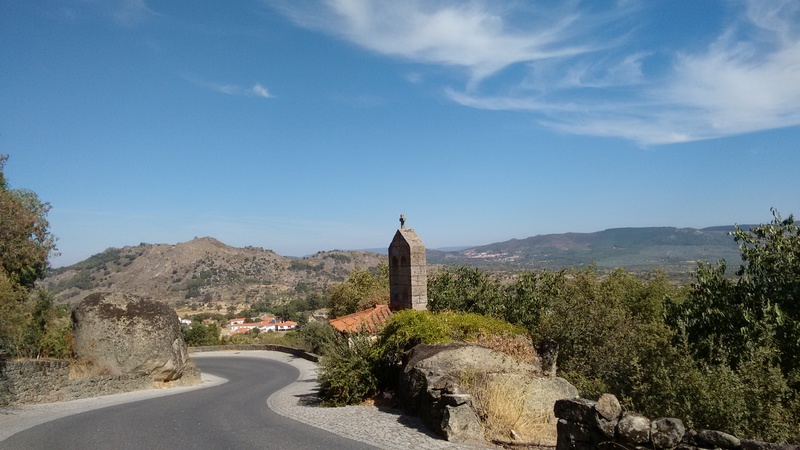 There are many reasons to love being in the Algarve in the winter – the lack of tourists, cheap wine, Portuguese cakes, almond blossom, being able to buy two large tuna steaks from the supermarket for less than €4. And that’s before I even get on to the cycling. 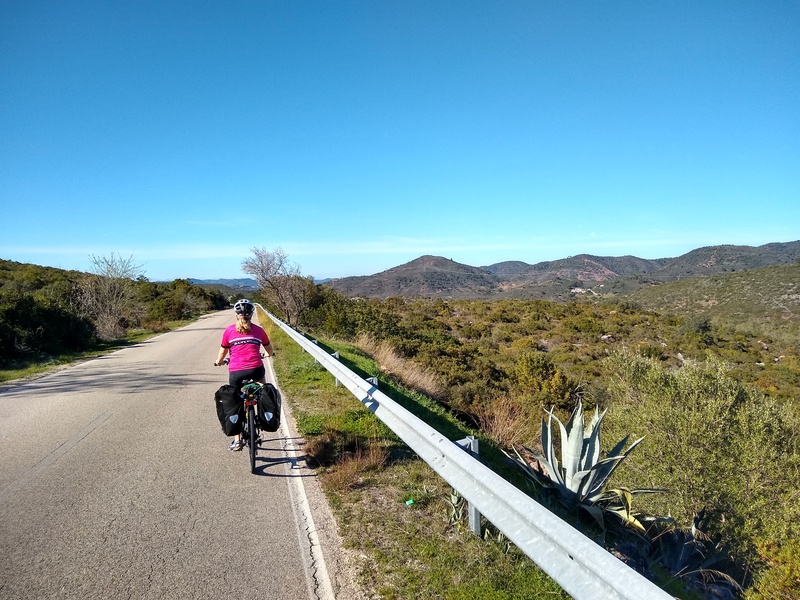 One of the biggest draws has to be the weather – being able to ride in shorts and a short-sleeved top in the middle of January (while needing wraparound sunglasses) is a definite improvement on conditions back home in the UK. By the way, my apologies if this is making you green with envy. That’s not the intention. 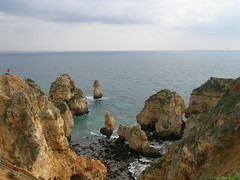 Many people think of the Algarve as a summer holiday destination. To me, though, it’s the winter cycling that’s a huge draw. It’s way too hot and busy here in the summer to even contemplate getting on a bike but just now it’s glorious. There’s a cool edge to the breeze but as long as you don’t sit still, or find somewhere sheltered, that’s not a problem. Today’s ride was a reasonably gentle one. 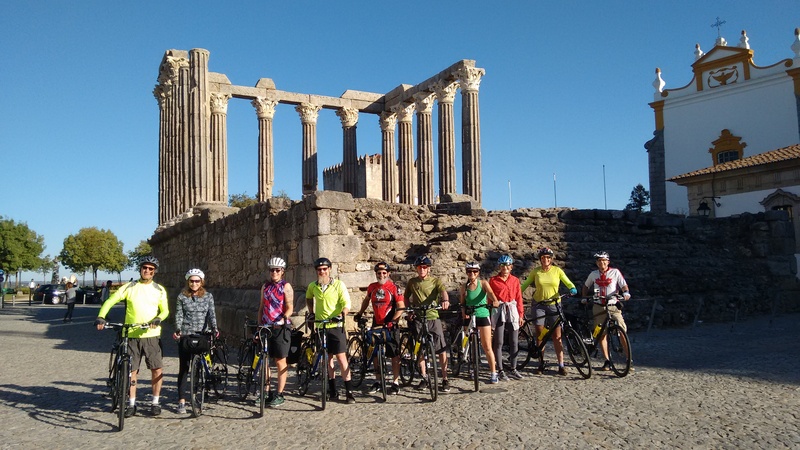 A loop of about 48km (30 miles) out to the west of Lagos in aid of ‘bagging’ some of the beaches in the area – all stops on the last day of the Algarve East-West guided cycle tour, which sets off on Sunday 13th March. 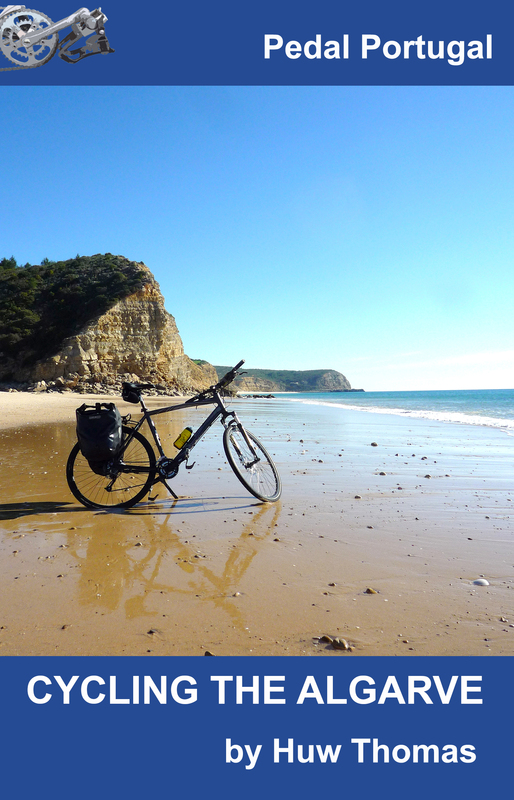 First up was a quick halt at Praia da Luz, after which came Boca do Rio (one of my favourites), Burgau and Salema – see photos below. 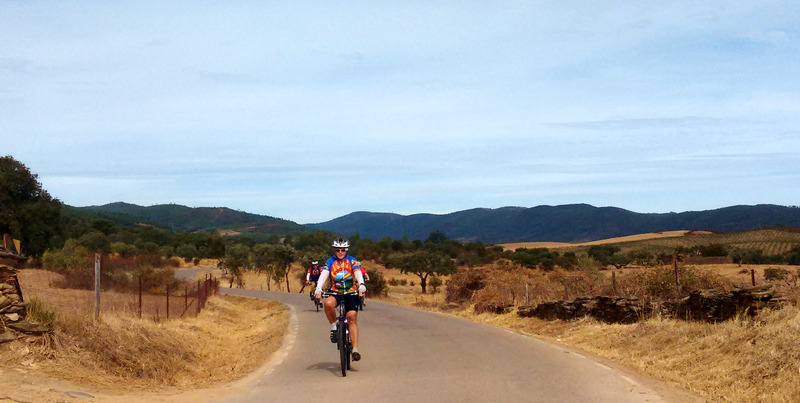 There were a few hills along the way but none of them particularly long. After a picnic on the beach, we turned inland for a loop through some of the nearby villages and home for a cup of tea!